Doctor Farsalinos highlights how ‘evidence’ is being distorted to prove vaping is dangerous, he believes it needs to be more balanced for the sake of would-be ex-smokers. News from Iceland is that, despite huge successes from smokers switching to vaping, a political party is pushing to “treat vaping like cigarette smoking”. Finally, a report by the Forum of International Respiratory Societies pushes for more regulation of the European markets. THE rapid rise in e-cigarette sales is threatening to wipe out tobacco bonds sooner than expected, it has been revealed. Tobacco bonds were forecast by many analysts to begin defaulting within the next decade but as more Americans swap cigarettes for vaping – far quicker than anticipated – some are predicted to default in less than five years. In 1998, big tobacco companies agreed to make annual payments to most U.S. states to cover medical costs for sick smokers. On June 6, an online magazine The Ken which writes on tech innovations published an article calling for a ‘blanket’ ban on a tech innovation that can save millions of lives. The argument: we cannot control it, so let’s ban. Unless The Ken also demands bans on AI, genetics, robotics and other technological advances which we don’t yet have mechanisms to control, we have to assume the article is motivated. In 2017 the German Vapers Organization (IG-ED) conducted a survey with over 2.000 participants. Like all Internet surveys it has a selection bias, but here it aids in evaluating empirical data from the most successful vapers. The main focus of the survey was the transition phase from smoking to vaping. Initial purpose was to provide current smokers with useful information on how the most successful vapers made the switch. Recent headlines have suggested that the sales of heat-not-burn products (also known as “heated tobacco products”) have slowed in Japan, the leading market for the products. 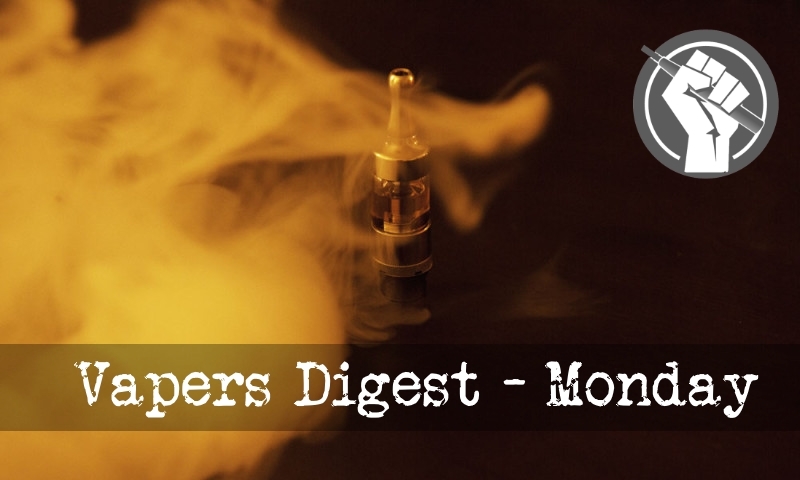 The stock price of Philip Morris International, maker of the leading iQos (Marlboro HeatSticks) brand suffered their biggest ever drop, and pessimistic predictions were made about the promise of the category. The reality is, however, that Japanese sale of HnB continues to grow, at the expense of standard cigarettes. I started a video channel in 2011. I called it ‘Vaping for the over sixties’. Now I am in my seventies. Maybe I’ve just got old and crabby, but I am not going to make any more videos or write about vaping anymore. Firstly, there are wonderful videos on the internet about vaping and vaping products – or at the moment there are. The disappointment in me is that videos by vapers promoting vaping might be shut down as the cage of hate about vaping constricts us and freedom of speech is closed down by those who control us. Why a ban on e-cigarettes.. In Singapore, more than 2,200 people die from tobacco-related diseases every year, making tobacco use one of the top risk factors for death and disability. Singapore is known for tough tobacco-control measures, including comprehensive bans on advertising, promotion and sponsorship; high taxation; designation of smoke-free areas; measures to reduce illicit trade; and support for smoking cessation. British American Tobacco (BAT) will invest €800mn in its plant in Ploiesti, southern Romania, over the next five years, the tobacco giant said on June 11. When the investment is completed, BAT’s Romanian production plant will be the sole supplier of glo Neostiks — BAT’s tobacco heating product — across Europe. Doctor Michelle Peace is an assistant professor at the Virginia Commonwealth University (VCU) in Richmond, USA. On face value, she is a highly qualified and experienced chemist – but when it comes to vaping all of her education fails her. Don’t vape in Brentwood Borough public spaces and workplaces. Brentwood Council unanimously adopted an ordinance that prohibits most e-cigarettes from being smoked in public spaces and in work spaces in the municipality. The American Lung Association and the Campaign for Tobacco-free Kids (CTFK) have a drum and they like to beat it. Those less kindly disposed to the organisations would suggest that pharmaceutical industry money might play a strong role in their actions; others might claim they are blinded by a hatred of the tobacco industry. Unfortunately, materials and quotes from the bodies are frequently used to justify action that stifles harm reduction. Consumers, small businesses, and public health won a small but important victory in the city of San Leandro, Calif., Monday night. The city council refused to enact a ban on local retailers selling flavored tobacco products, throwing it back to a rules committee for reconsideration in September. Proposals for tobacco flavor bans have spread rapidly across the Bay Area and are under active consideration in Oakland and San Francisco. While occasionally well-meaning, these prohibitions are always misconceived.